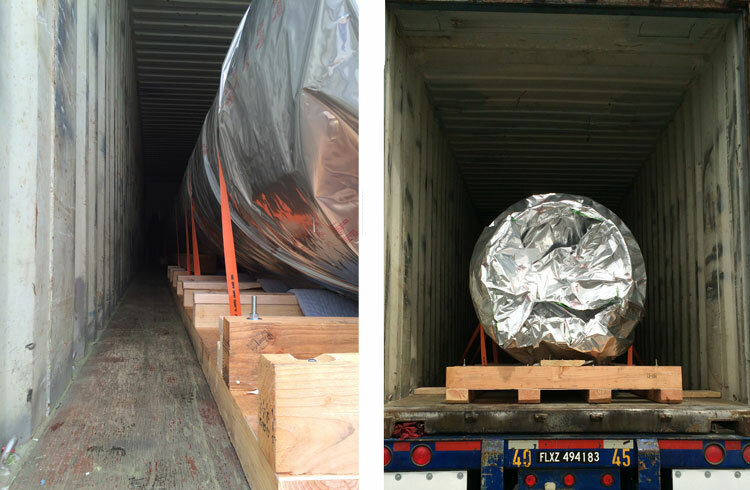 Mandrel Roll Packaged and Secured for Overseas Shipping - Triple-E Machinery Moving, Inc. The energy industry is ever more complex and vital. 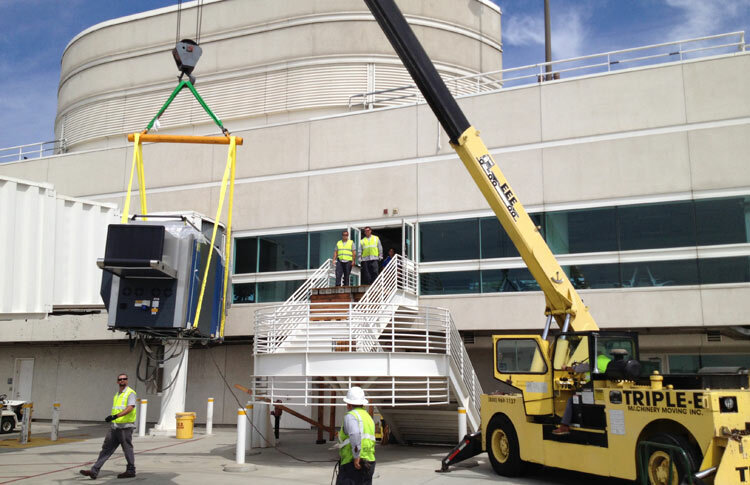 It’s not getting easier or less costly to transport oil and gas equipment and machinery around the globe. 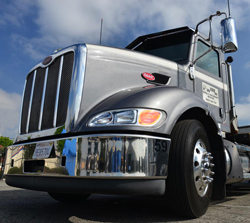 Triple-E Machinery Moving, Inc simplifies the process of transporting heavy equipment and machinery for oil drilling. 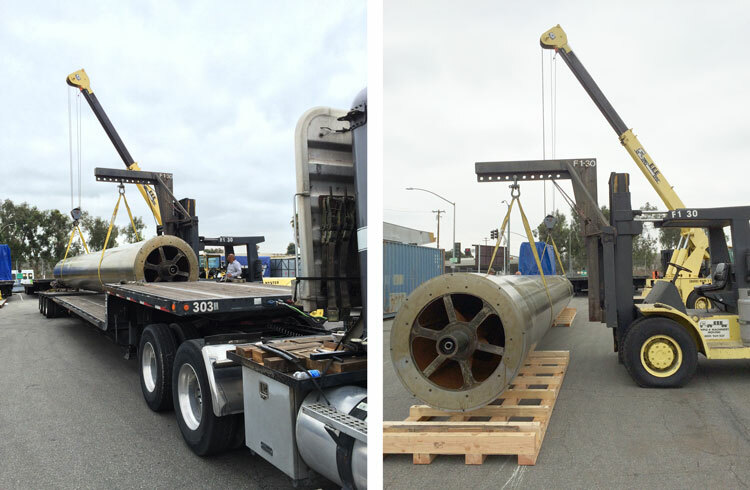 In this case a Mandrel Roll was picked up and packaged at our Southern California yard for shipment to Malaysia. 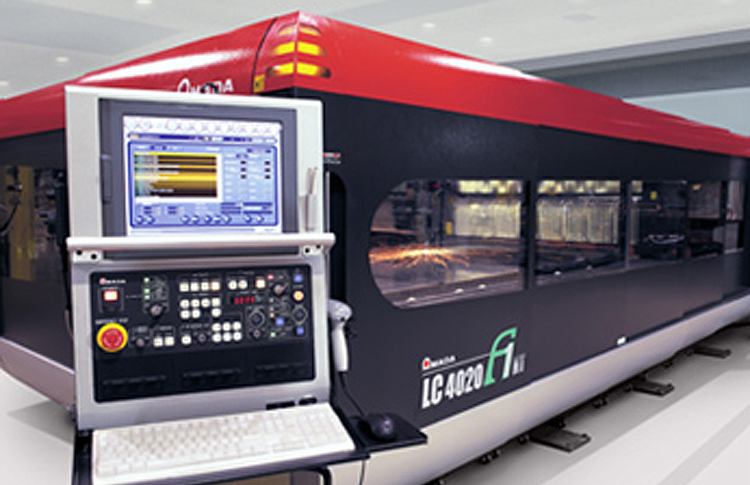 Even single-piece projects require decades of specialized experience, and knowledge of current innovations. 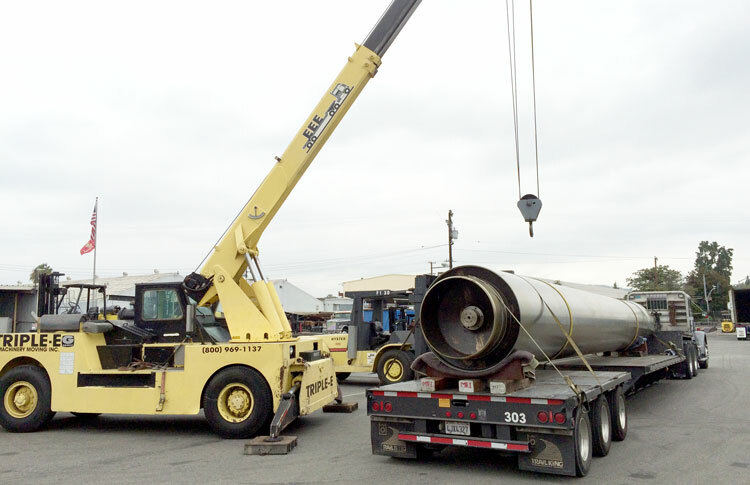 Triple-E provides the safest, most up-to-date, cost-effective and efficient methods available for our energy-industry-manufacturing clients with machinery moving and heavy equipment hauling needs. 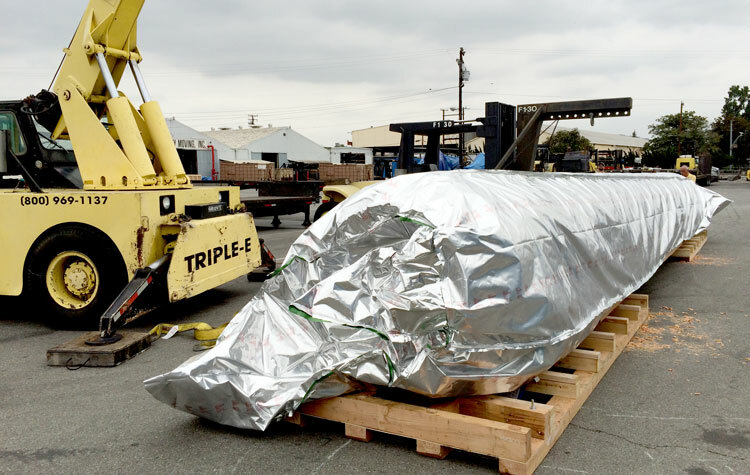 A picture is worth a thousand words, and here are several of this Mandrel Roll arriving at Triple-E Machinery Moving, Inc to be prepared for the long journey ahead. Triple-E first secures the Mandrel Roll on one of our specialized stretch trailers at our customer’s facility for safe transport to our yard where it will be prepared for overseas shipment. 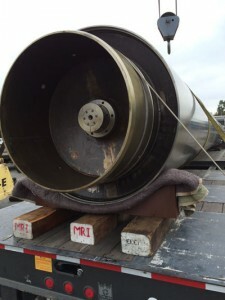 The Mandrel Roll is unloaded with Triple-E heavy equipment, and placed on special fabricated skids. Specific Rust resistant cosmoline is applied for protection during overseas transit. The Roll is completely foil bagged and sealed for further protection. Next it’s loaded into a standardized shipping container. Finally the Mandrell Roll is blocked, braced and well-secured within the container. 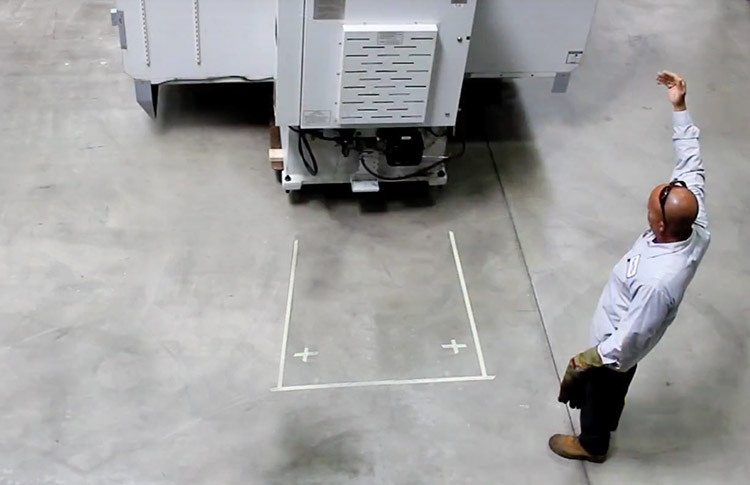 Valuable oil drilling equipment must arrive to its final destination in the same condition as when it departs a client’s plant or facility, and Triple-E Machinery Moving, Inc customers take this for granted. Get in touch with our expert staff for any and all of your machinery moving and heavy equipment needs, and rest assured your equipment and machinery are in the best possible hands as they are prepared for international transport.